At Sipe Steel Rule Die, Inc., we specialize in precision foil stamping of products for a wide range of industries. These paint sample cards were foil stamped for a customer in the home improvement industry. From the customer supplied specifications we created a composite overlay to show the finished stamped position. Once approved, we created the dies and applied the shiny silver foil required for the stamping, and tested for adhesion before the production run. The foil stamping was completed on our Kotai 1050 foil and embossing press, which allowed us to meet tolerances of ±.015" for the foil placement. This capability also allows us to run foil up to 4,000' in length, greatly enhancing our efficiency on large quantity orders. 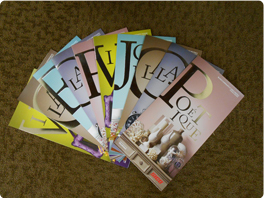 In addition to foil stamping, this project also required die cutting and trimming to obtain the final brochure size of 12.5" x 12.5" (folded 6.25" x 12.5"). We foil stamped and die cut over 500,000 of these brochures in two weeks. To learn more about this project, or the processes used to stamp it, see the table below or contact us directly. These paint brochures are used to match and select paint colors usually for home improvement applications. Die files to make the foil dies and a composite to show stamping location.